Sturdy Green is the hardest and most durable wax in the range. 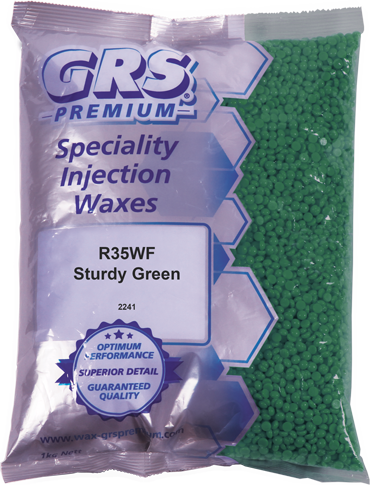 This wax is perfect for use in metal moulds, where the patterns have sharp detail or where a high degree of accuracy is needed. It has high flexibility and low shrinkage and is therefore easy to remove and easy to read.